Live. Learn. Connect. 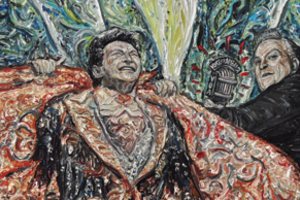 Enhancing living and learning through arts and culture on campus and in the community. Fawn Douglas. Paiute Landscape. oil on canvas. 2014. Jesa Townsend. Wallpaper and Wallflowers. oil and acrylic on canvas. 2015. Nanhyo Park. The Other Side of the World. mixed media. 2015. Joseph Watson. Thirst, Enrich, Thrive. acrylic on canvas. 2015. Gig Depio. Born Free. oil on canvas. 2014. At Nevada State College, excellence fosters opportunity, empowering and inspiring a diverse population of students. The Office of Arts and Culture furthers this mission by supporting the creative endeavors of our students and our community. 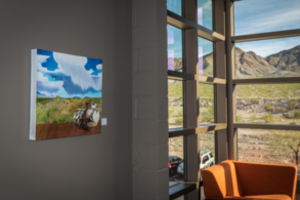 Some of these endeavors include: The Artist at Work series, The Campus as Museum, Nevada State Student Galleries, temporary art exhibitions, unique cultural events, and collaborations with local arts and culture organizations. Your gift to the Office of Arts & Culture supports these initiatives, and in the process helps a diverse group of primarily first-generation students gain a deeper appreciation of the role of art in our culture. If you would like to support our new music initiative to increase on-campus performances, workshops, and student access to pianos and equipment, please write Music at Nevada State in the optional message field of your gift. This series seeks to engage the campus and community in conversations about topics like what art-making as work looks like, the role of the artist in the workforce, STEAM initiatives, the arts as advocacy, and the arts as a driver of economic development and tourism. 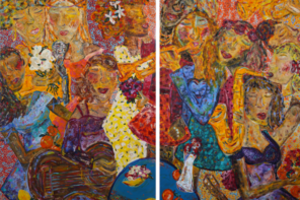 The Nevada State College Permanent Art Collection features 71 works by 34 Nevada artists. The collection can be found in the Rogers Student Center; the Liberal Arts & Sciences Building; the Nursing, Science, and Education Building; and the plaza. 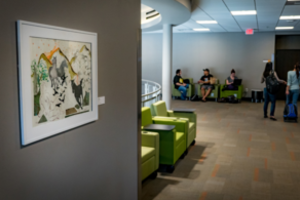 In a collaboration between the Office of Arts & Culture and the Humanities Department, student work is featured in the Rogers Student Center. Our inaugural Arts & Culture event on September 26, 2015, set the bar high with a reading by Juan Felipe Herrera, Poet Laureate of the United States, at Nevada State College. This event was in partnership with Clark County, the inaugural Clark County Poet Laureate Bruce Isaacson, and Poetry Promise, Inc. 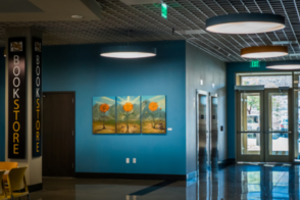 Since then in its role as a community cultural center for southern Nevada, the Office of Arts & Culture has offered a rich variety of free public programs at the college such as guided tours of the Nevada State College Art Collection, poetry readings and workshops, musical performances, film viewings, lectures, seminars, workshops, and arts-based faculty development such as an exploration of the arts as a healing modality.